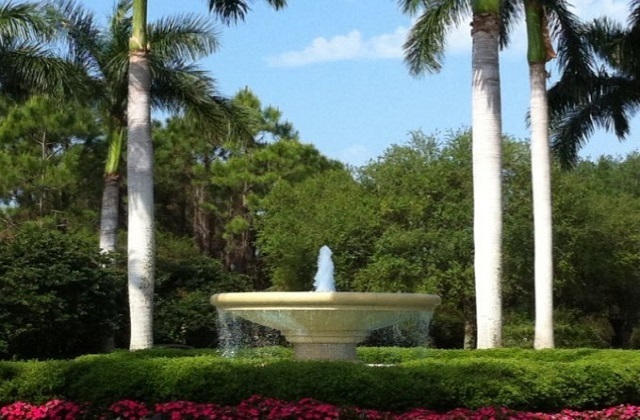 Situated on 2,400 beautiful acres just north of Naples in Bonita Springs, Bonita Bay is a gated master-planned community of less than 3,300 residents. 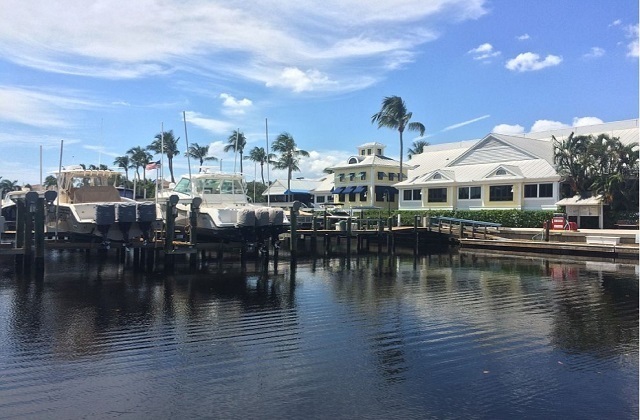 Here you will find tree lined boulevards and intimate neighborhoods of Estate, Single family, Villa, Coach and Carriage homes as well as luxury high rise condos with stunning views of the Gulf, Estero Bay, numerous lakes, nature preserves and five equity championship courses. The single family homes range from 1,760 to 8,660 square feet with two bedrooms plus a den up to six bedrooms and two to four car garages. The villas range from 1,523 to 3,022 square feet with two bedrooms up to three bedrooms plus a den, all with two car garages. The high rises range from 2,102 to 6,176 square feet with two bedrooms to five bedrooms plus a den and one to four car garages. The coach homes and condos range from 581 to 2,748 square feet with one to three bedrooms pus a den and a one or two car attached garage, one car carport or assigned parking. Over half of the 2400 acres are dedicated to parks, lakes, nature preserves and open spaces. This community provides its residents an incredible list of amenities including three community parks, a private marina with deep water Gulf access, over 12 miles of bicycling jogging and walking trails, a swim center, a 6,000 square foot world class tennis and fitness center with 13 Har-tru tennis courts of which nine are lit for night play, and even an award-winning butterfly garden. 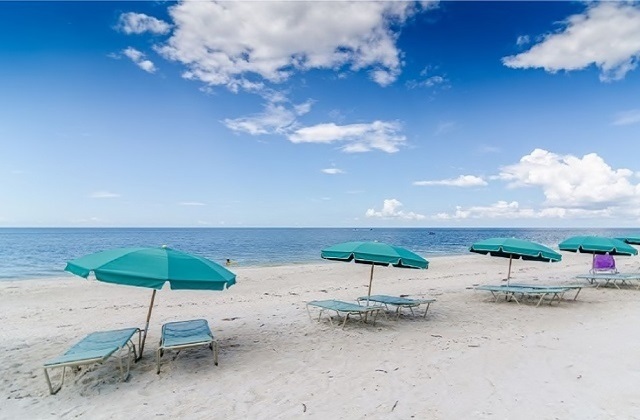 For those who enjoy the sun, the private Bonita Bay Beach Club is the perfect place to spend the day. Located on Hickory Boulevard, shuttle bus transportation is provided or for those who prefer to drive it is only 10 to 15 minutes by car. The club is open and staffed daily from 8 AM to 9 PM and provides chaise lounges, beach chairs and umbrellas. There is casual midday food service during the season, picnic pavilions and tables with gas grills and restroom and shower facilities. 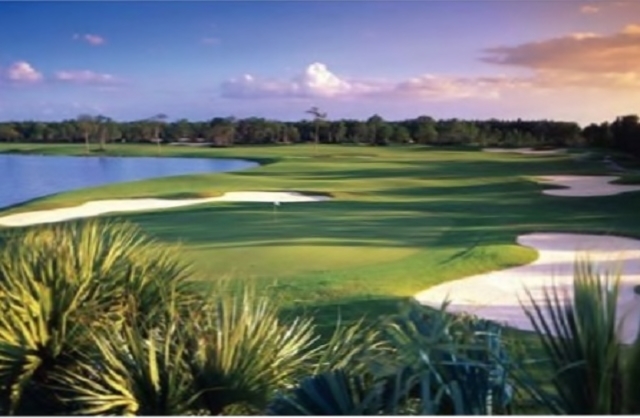 Bonita Bay is the only community in Florida to offer five championship golf courses to its members. 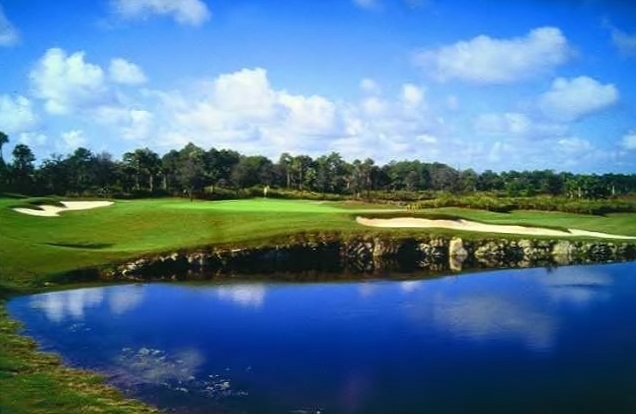 The classically designed 55,000 square foot main clubhouse contains one of the area’s premier pro shops and serves the Marsh, Creekside and Bay Island Courses. Amenities include a formal dining room, the casual Club Room, an intimate dining room with a fireplace and breathtaking course views and banquet rooms for private parties. The Marsh Course is a classic par 72 Arthur Hills course that plays to 6,636 yards. Winding through swamplands and around lakes, it requires accuracy off the tee to avoid the many hazards and elevation changes, making club selection an interesting challenge. Designed by Arthur Hills, the Creekside Course at 6,742 yards features broad sweeping fairways. Precision irons are required to avoid the many hills and moguls that protect the challenging greens. Ranked among the best courses in Florida by Golf Digest, the Bay Island Course, designed by Arthur Hills plays to a par of 72 at 7,045-yards. The natural lay of the land combined with scenic water hazards, sand traps and thick stands of oak and cypress provide a challenge to golfers of all levels. The 8,294 square foot Bonita Bay East Clubhouse, located off-site, is home to the Tom Fazio designed Cypress and Sabal courses. 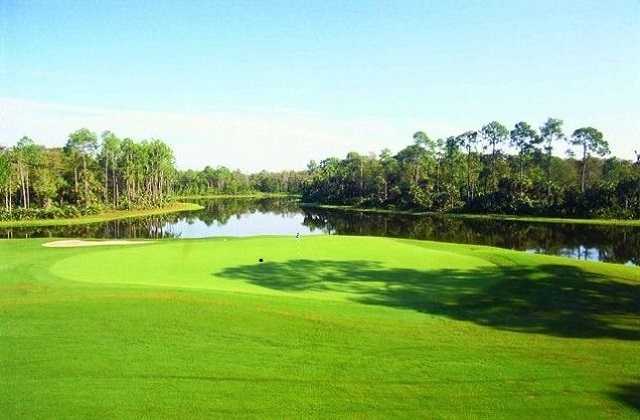 Nestled among cypress stands, slash pines and sabal palms, amenities include a formal dining room, grille room, full-service bar, pro shop and locker rooms. At 7,077 yards, the Audubon International Signature Cypress Course plays to a par of 72. The longest of the Bonita Bay courses, it features two distinctive nines. The front has forgiving fairways and natural bunkers while the back winds through the natural forests. Each has large fast greens that are well protected by deep bunkers. The Sable Course, also an Audubon International Signature Course, is inviting to both the low and high handicapper. Playing from 6,029 to 7,038 yards it is forgiving to the beginner while challenging the experience player to go for the pin. If you are looking for an amenity rich community with world class golf and an active social calendar you will definitely want to consider Bonita Bay.